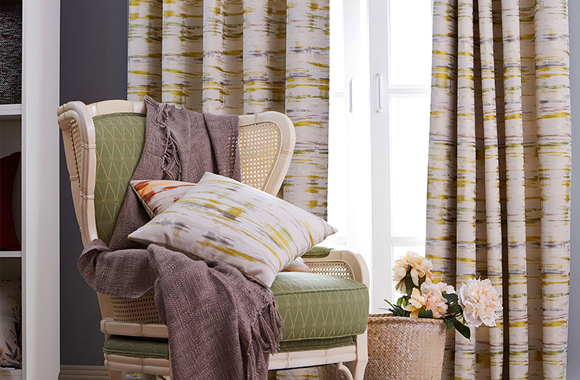 Home Blog Why Choose Ready Made Curtains? Why Choose Ready Made Curtains? Our Curtains Design Team approach each seasons collection with a goal to create ready made curtains with custom made standards. Through the years we’ve had every style from unique embroideries and high end digital prints to tactile plains and rich velour’s. The complete collection offers a variety of designs to suit all interior design schemes with bedrooms, kitchens and living rooms particularly in mind. All in all, there’s a design to suit every interior. All SLX designs are finished to a high standard with an elegant sateen lining, carefully stitched and perfectly finished. Geometrics and contemporary florals have been fashionable of late and we’re always trying to stay one step ahead of the trends to make sure your home is too. Check out our gallery for yourself. Did you know we also do black out Ready Made Curtains? Our Daytona Ready Made Curtain design has several colour options; Denim, Earth, Fuchsia, Linen, Slate and Sterling. These are especially popular for bedrooms working to a particular colour theme as the blackout lining guarantees extra valuable shuteye on those bright sunny mornings. Our ready made curtains come in several sizes; 66” x 90”, 90” x 90” or 132” x 90” and while they come with an eyelet heading as standard, we also provide an alternations service for a small extra charge. Most notably they can be altered to a pencil pleat heading which shortens the drop slightly to 85”- after that, the possibilities are endless. Colour – if you need a long life span from your ready made curtains then stick to neutral or metallic colours that you’ve always been fond of. This way your curtains won’t date and all you have to do is paint the walls every few years – a very handy way to upcycle your interior. Room Style – The weight of the fabric is important too. Do you want heavy formal fabrics or light drapes? Check out the difference between Diamante and Tromso to see what we mean. Get Samples – It’s a good idea to request a fabric sample. Depending on the light in your chosen room, hang them up on a picture frame hook, window sill or mantelpiece and get used to the colour/pattern. Does it work with the wall colour? If you like it after a day or two then congratulations, you’ve found your curtain fabric! The craftsmanship involved in SLX Ready Made Curtains will never disappoint…. They’re designed and created for you and your home. Find your nearest SLX Ready Made Curtain Retailer today!